Everyone knows the printed balloons. It is the perfect item for your communication: they’re not expensive, easy to use and everyone likes it: the young and the old ones. You could think that those balloons are not “classy” enough for your communication. We have the solution for you: the Clear balloons (or transparent balloons). 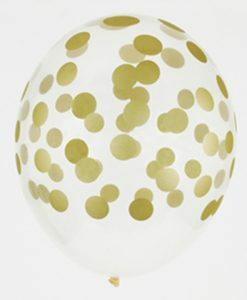 The transparent balloons are fitted to a more glamorous purpose. Use it for a wedding or to promote your luxury brand. The price for our clear balloons is the same than for our printed balloons. You can also print them in one or two colors. Our tip: use a golden printing for the best glamorous effect. If you wish more information about our transparent balloons, contact the specialized wholesaler: Horizonsources by mail: hello@horizonsources.com or through the phone: 04 76 32 80 50.